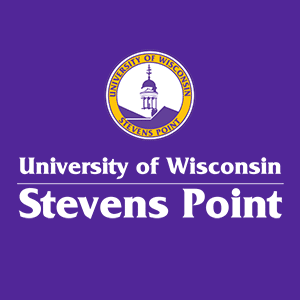 A successful University of Wisconsin-Stevens Point business alumnus and his wife have committed $1 million to the UWSP Foundation to establish the Keith and Tammy Anderson Classroom to Career Center (C2C) in the School of Business and Economics. The Anderson C2C Center, which will be housed on the first floor of the College of Professional Studies Building, will become a defining symbol of the School of Business and Economics (SBE). It will provide a single location for students to learn about business majors, receive career and financial support, and discover internship and professional development opportunities. The Anderson C2C Center will also serve as a hub for SBE data collection, business outreach and event planning. "Keith and Tammy Anderson are incredibly committed to the success of our business students at UW-Stevens Point," said Marty Loy, dean of the College of Professional Studies. "Their thoughtfulness and generosity will enable the School of Business and Economics to recruit new students, further enhance its personal approach to supporting current students and connect them with peers, faculty and members of the business community." The Andersons have long been SBE supporters. Keith is an active member of the SBE Business Advisory Council, and the couple has contributed to the SBE Senior Week and other scholarship opportunities for students interning at nonprofit organizations. Keith, who earned his degree in business administration in 1985, is the executive vice president of operations for NVR, Inc., one of the nation's largest homebuilding and mortgage banking companies. Originally from Stoughton, Wis., the Andersons live in Aldie, Va. They have four adult sons and two granddaughters. "It is with great pleasure that Tammy and I are able to help the School of Business and Economics establish the Anderson C2C Center," said Keith Anderson. "We grew up in a small town in Wisconsin with dreams of success like many of today's Pointer students. We now have the opportunity to equip students with the tools and strategies needed to follow their dreams, a responsibility I take very seriously." Anderson C2C Center will enrich the lives of School of Business and Economics students for years to come, said Kevin Neuman, who heads the school. "We are so grateful to Keith and Tammy for their gift to support our ongoing work and create new opportunities. This gift places us firmly on a path to make the SBE a premier program for northcentral Wisconsin and beyond." The Andersons' gift brings the university's "Then, Now & Forever: We Are Point" capital campaign a large step closer to the $30 million goal announced when the campaign went public on April 30, 2016.